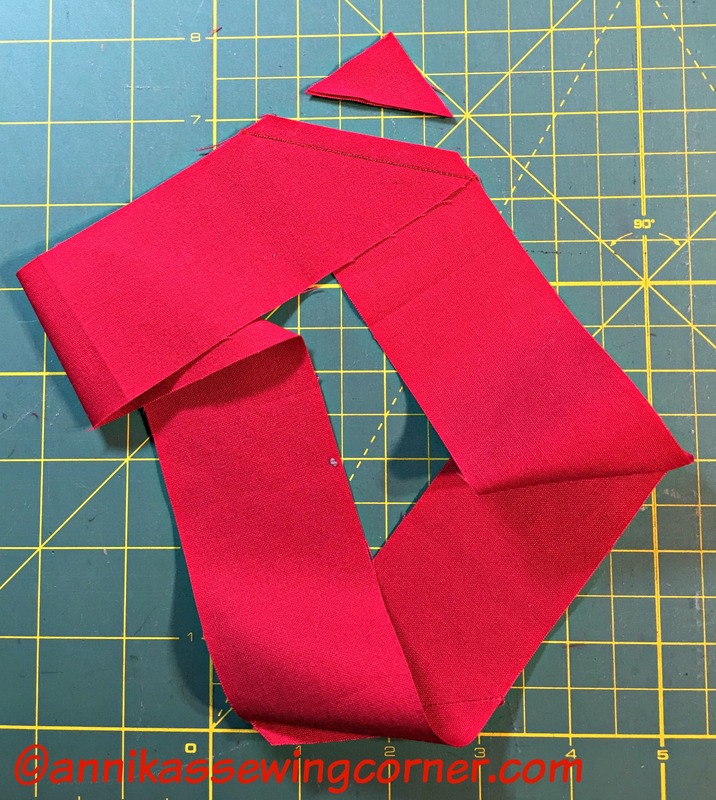 Sew 16 of the 2″ x 3 1/2″ rectangles together in a row along the long edges. On every fourth seam (corners) finish the seam 1/4″ before the bottom edge. Iron on the long strip of batting and make a circle of the strip. 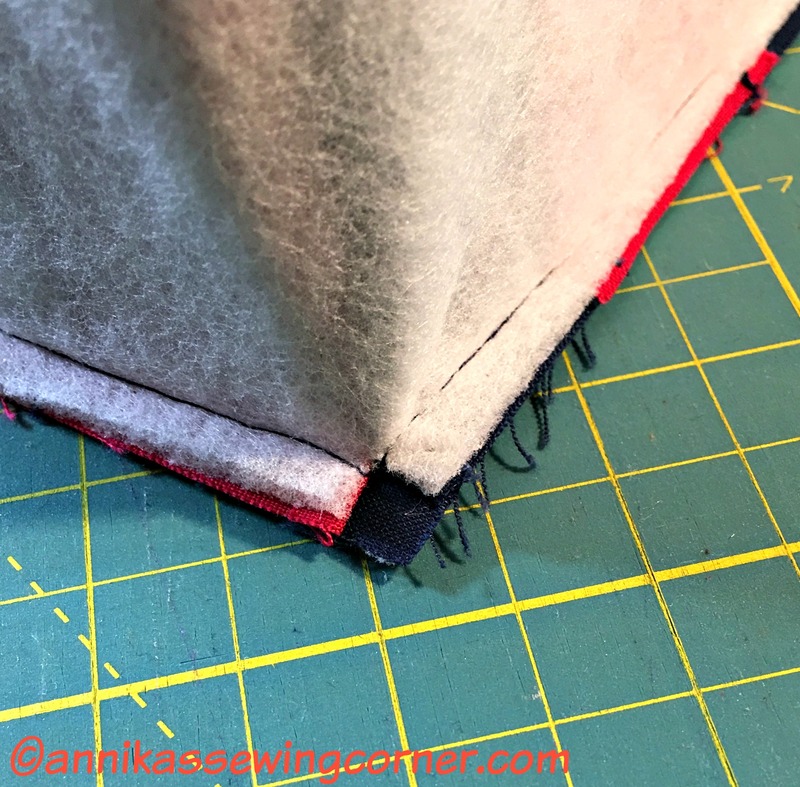 Make a small cut in the batting where the seam finished 1/4″ before the edge. 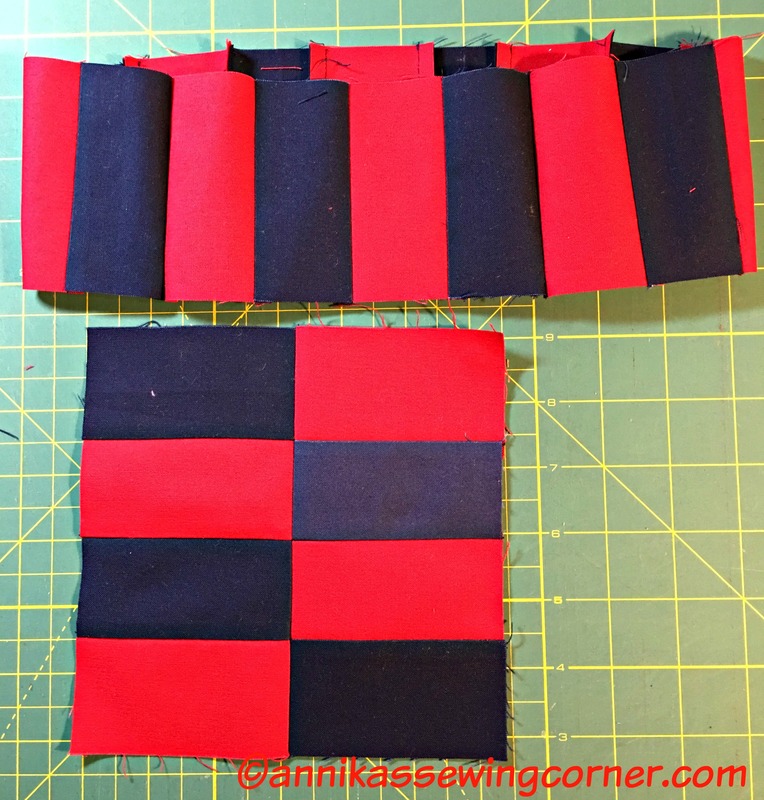 Sew the remaining 8 rectangles in to a 6 1/2″ square by sewing to rows of four and sewing the rows together. Iron on batting. 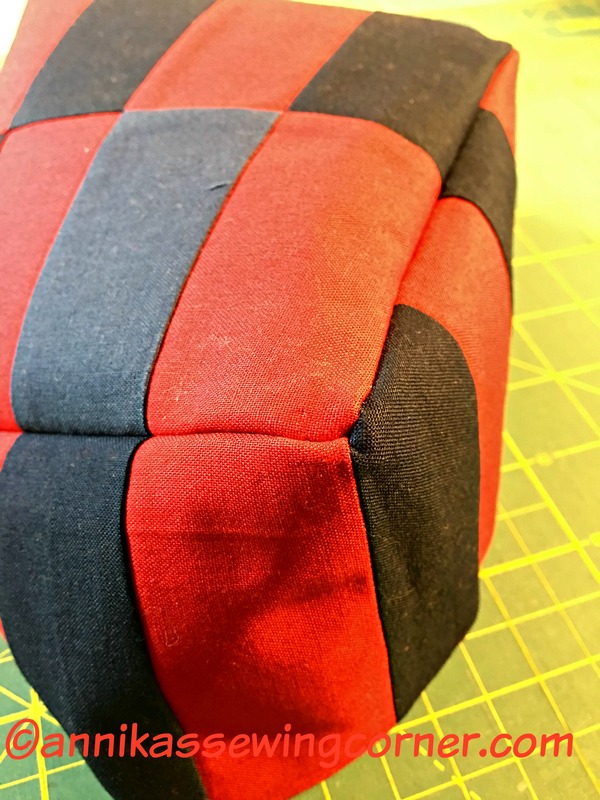 Attach sides to bottom square, see pictures on how to make the corners. 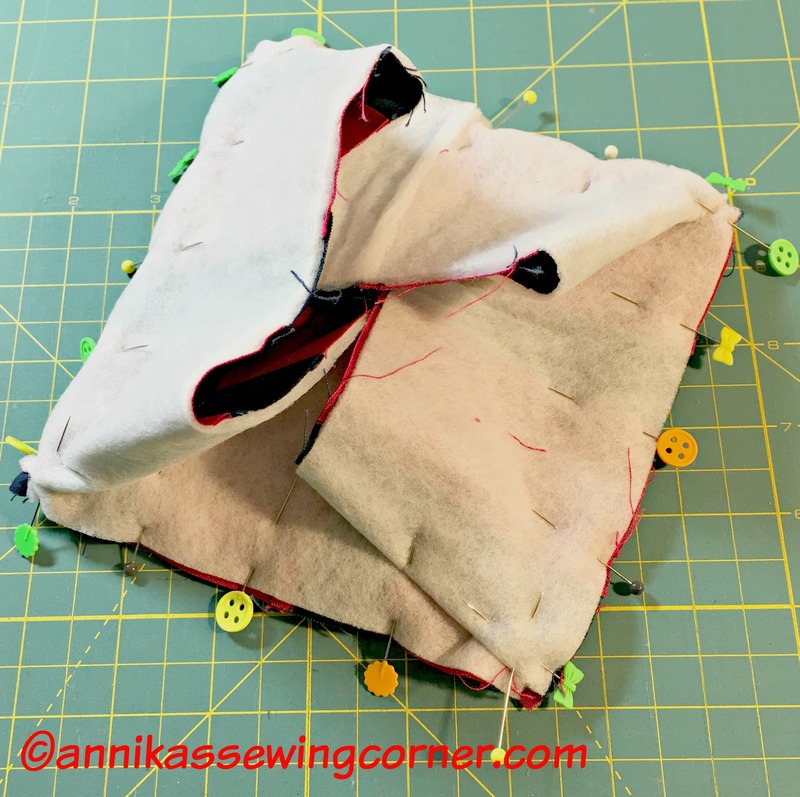 Sew the lining rectangles together along the 3 1/2″ edges in to a circle. Finish the seams as for outer basket and attach to bottom square. 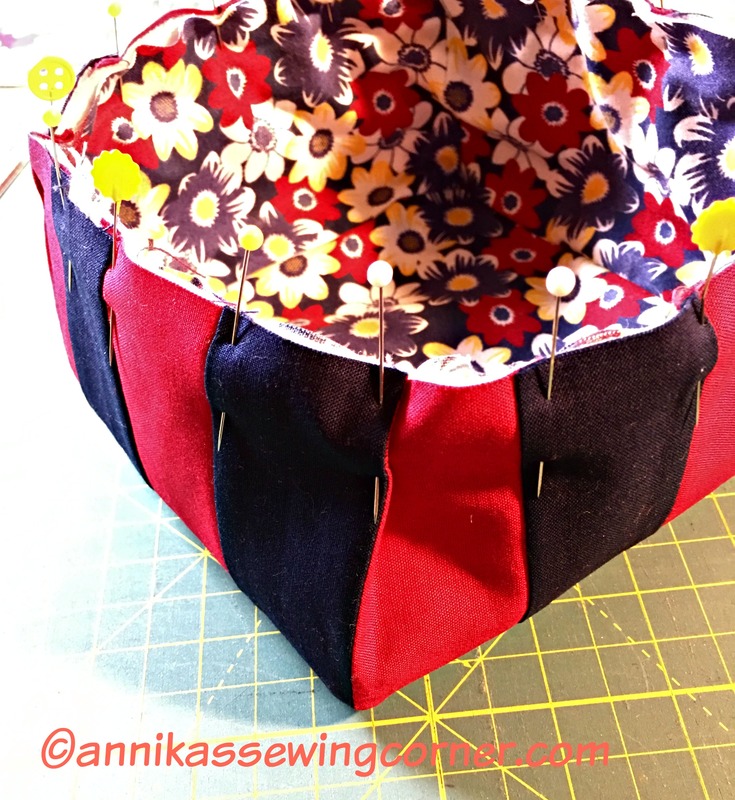 Place lining inside outer basket wrong sides together. 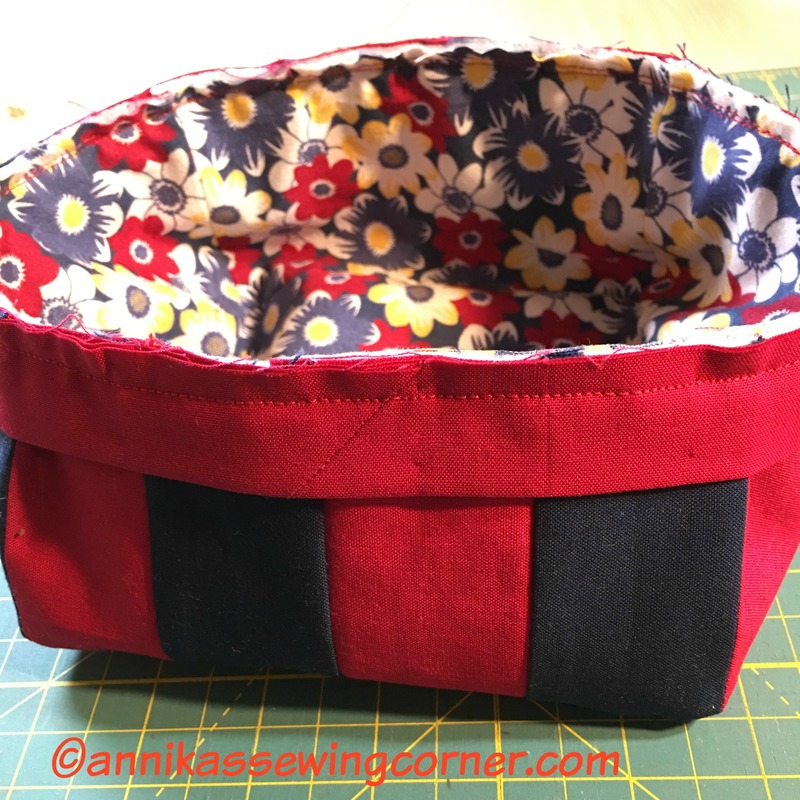 Make a 1/4″ pinch in each corner on the outer basket. Pin and baste top edge together. 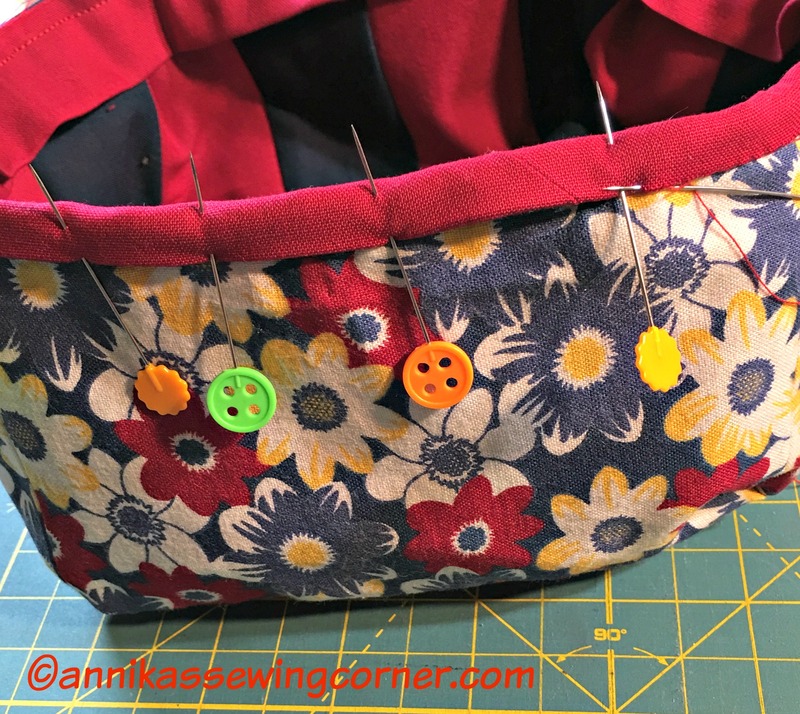 Sew the binding in to a circle with a diagonal seam and fold it lengthwise wrong sides together. Place on outside of basket along top edge with raw edges even. 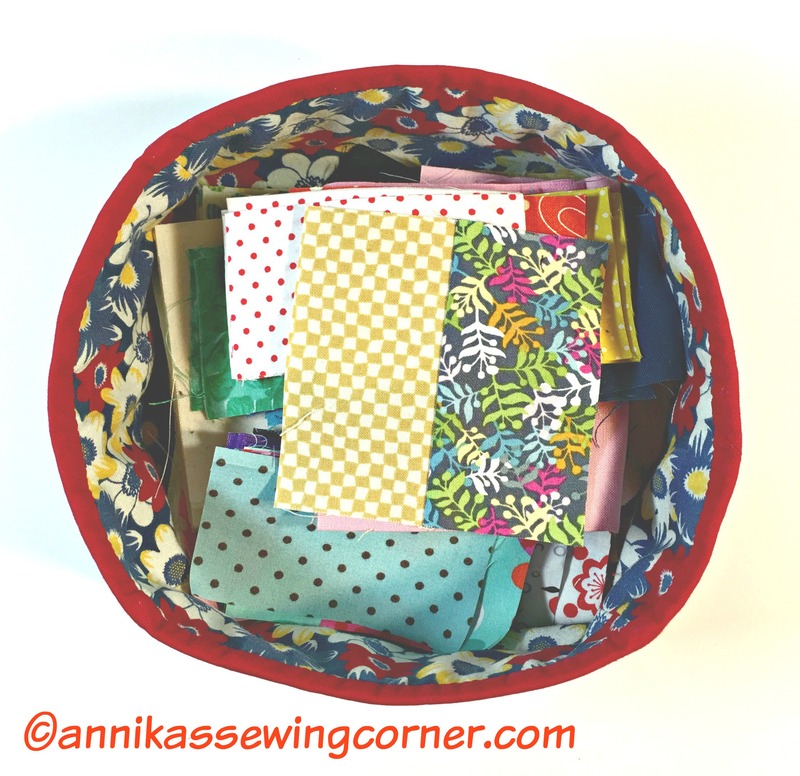 Stitch and fold to inside of basket. 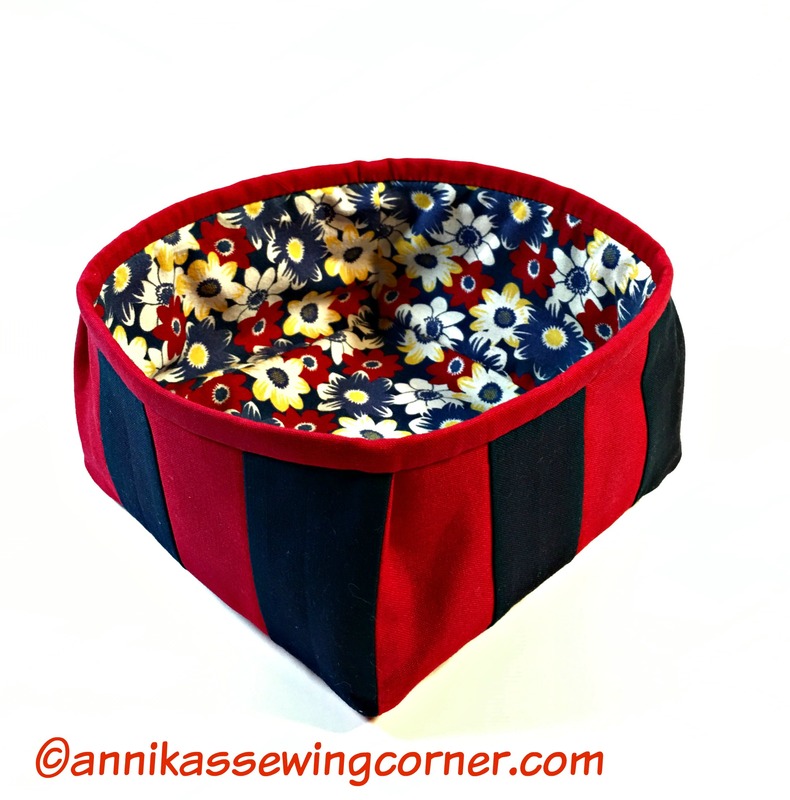 Turn basket wrong side out and slip stitch binding into place by hand. Turn to the right side and enjoy your basket. I hope you enjoyed this tutorial. Until next time Happy Sewing and take care!